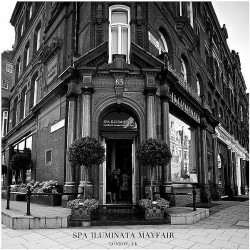 We are very proud to announce the introduction of Miriam Quevedo in two iconic UK spa environments, Spa Illuminata Mayfair (as pictured), a sumptuous haven for the most discerning London spa goer, and recent winner of the 2016 Condé Nast Johansens Spa Awards for Excellence ‘Best Day Spa’, and Spa Illuminata Danesfield House Hotel & Spa, Marlow, one of the finest country house hotel and spas in the UK. Miriam Quevedo, our luxury Spanish cosmetic brand with both haircare and skincare products and treatments draws in elements of opulent ingredients including caviar, gold, platinum and diamond powder, to ensure beautiful, healthy and protected hair and skin. 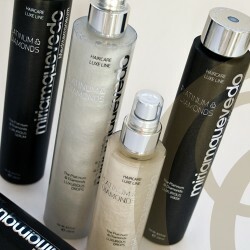 All products are paraben free, making them kinder to the skin and hair and to your overall health and wellbeing. You can view the full range here and also find the products within both Spa Illumintata Mayfair and Danesfield House Hotel and Spa. Click here to read our press release and find out more about the newly launched Miriam Quevedo products.